This weekend, our favorites over at Grimey’s New & Pre-Loved are gonna be manning the helm over at The Belcourt for the midnite movie sesh. Nothing better than buying records all day long and then topping it off with a movie about records and maybe winning some free records or gift cards for records or get some coupons for more records, right? Right. 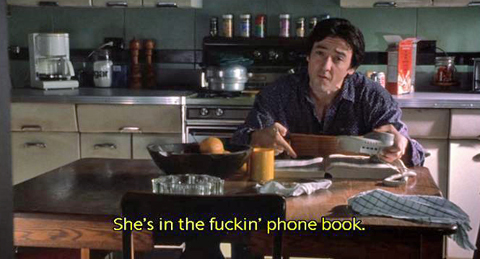 They’ll be screening High Fidelity, the John Cusack film about record nerds working at a shop together and having girl problems. If you’ve never seen it before, I’m sure we just summed it up in a sentence that’s making you think, “Couldn’t I just go watch that happen in real life at one of the record stores in town?” Well, yeah, you probably could — but at this one you stand to win some free stuff. The Grimey’s staff will be in attendance hosting the Saturday night screening of the flick and we’ll be there hanging out, so grab some popcorn and hang loose too.